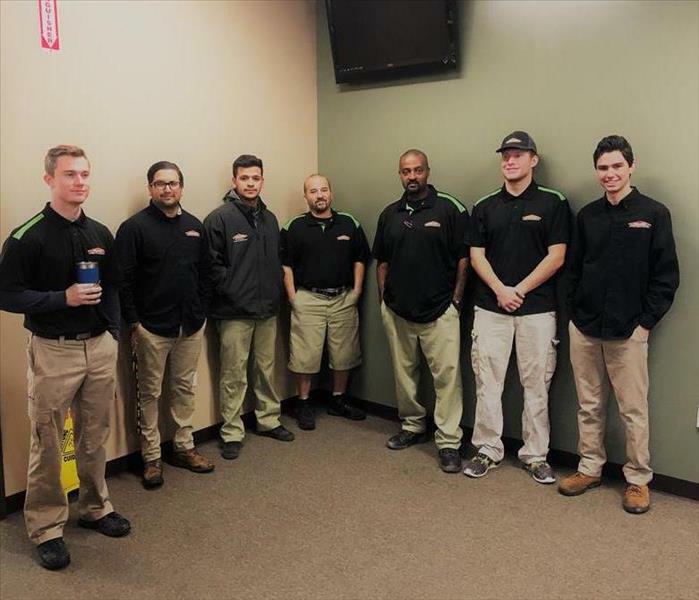 SERVPRO of Burbank teamed with the San Fernando Valley Rescue Mission for the fourth year in a row to collect donations for their 19th Annual Family Thanksgiving Feast it took place on Saturday, November 17th, 2018 in North Hills, CA. 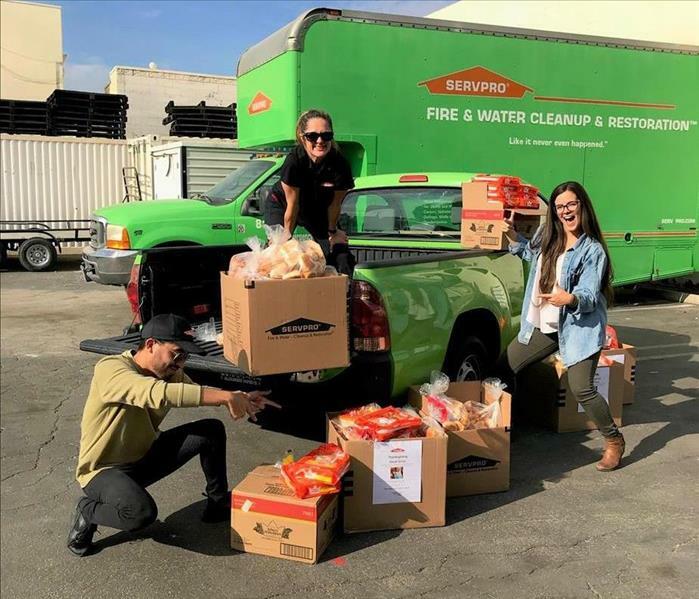 SERVPRO of Burbank committed to collect and donate 600 dinner rolls with the help of clients, vendors and other members in our community and we surpassed our goal! As a community we donated more than 2600 dinner rolls for this amazing Rescue Mission which has helped many people in need! Visit www.sfvrescuemission.org for more ways to give and/or volunteer. 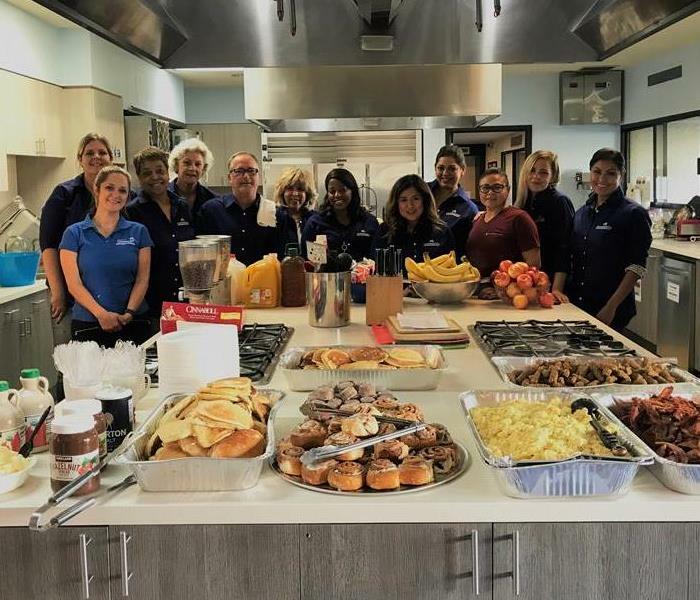 SERVPRO of Burbank joins with CAI and the Los Angeles Ronald McDonald House to prepare & serve breakfast to the families' staying in the housing provided by this noble non-profit organization. 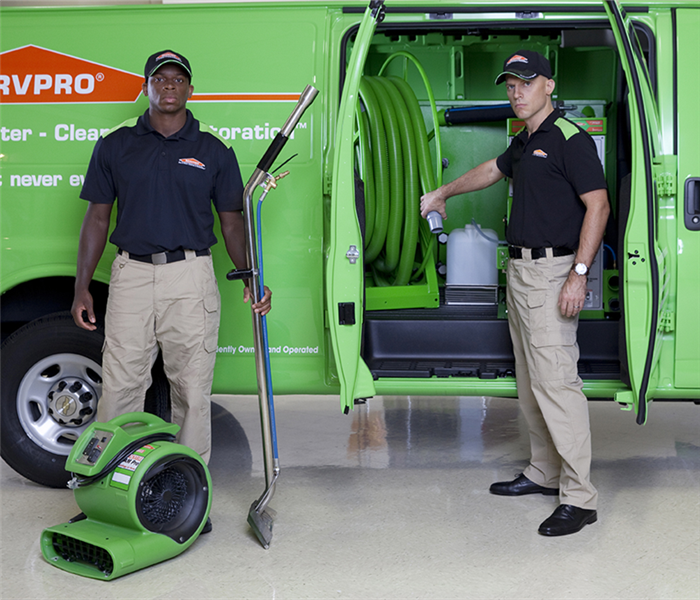 SERVPRO of Burbank is proud to support those in need! Jennifer Schuster of SERVPRO of Burbank participated in a community outreach event at the Los Angeles Food Bank in which she and fellow members packed fruit to be distributed to thousands of organizations that feed the needy through Los Angeles County. A total of 32,706 lbs. of food was packed producing 27,145 meals in one day! A great event that serves a our community! Roby Garcia and Jennifer Schuster hosted the SERVPRO of Burbank Bloody Mary Bar at the 2018 CAI Golf tournament. A day of fun in the sun with business partners and other members of CAI! Roby Garcia and Jennifer Schuster congratulate Lisa Hoffman of VMG (Valencia Management Group) for winning the 2018 liquor basket! 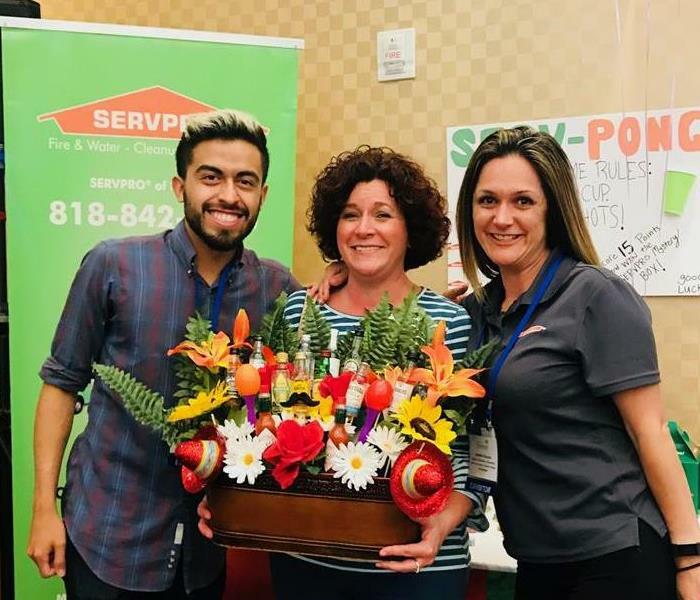 She was not the only winner at the SERVPRO of Burbank table as "SERV-PONG" was going strong! SERVPRO of Burbank’s Jennifer Schuster and Roby Garcia participated with other Outreach Committee members of CAI in donating diapers, toiletries, gift cards, clothing, toys and much more to the Single Mothers Outreach of Santa Clarita. Members of CAI brought donations to various CAI events and donated more than $600 in gift cards, more than 1000 diapers and 30+ bags of gently used clothing. The charity was blown away by the generosity of CAI members and very grateful these much needed supplies were given to help Single Mother’s of Santa Clarita. 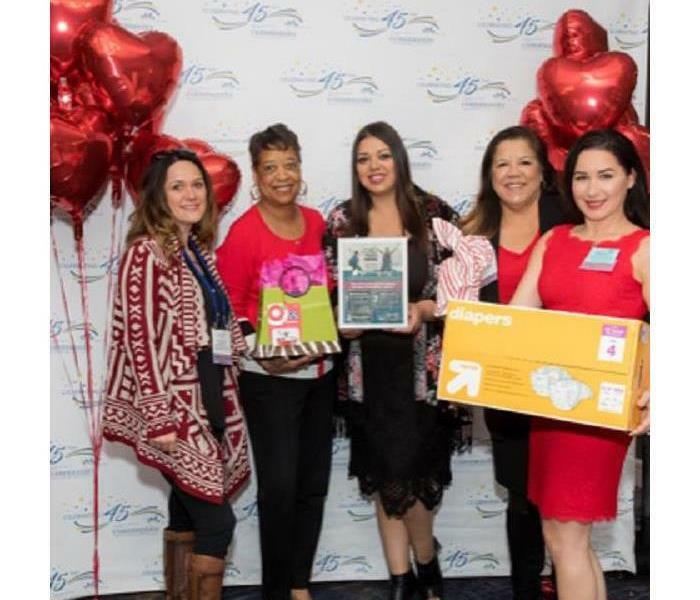 SERVPRO of Burbank's Jennifer Schuster and other business partners from CAI join together to gather diapers, gift cards and clothing for single parents in the Los Angeles area. 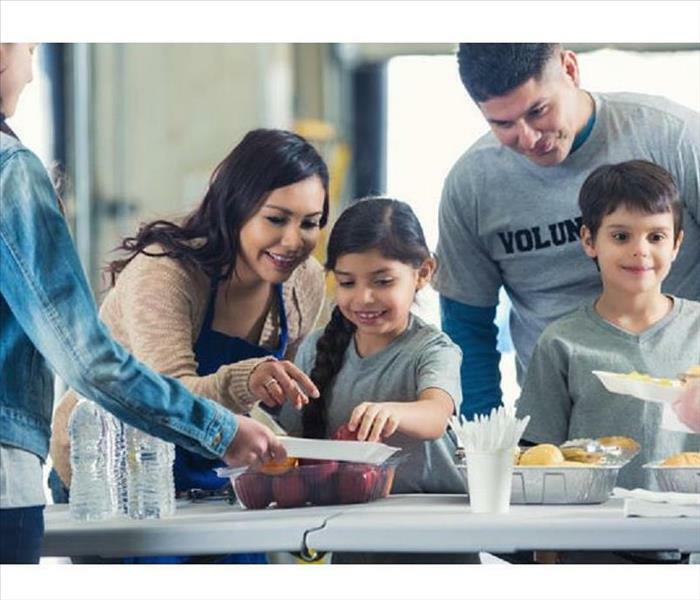 SERVPRO is proud to support our local community! (818) 842-1400 if you would like to participate in this great cause or visit www.sfvrescuemission.org for more ways to give and/or volunteer.